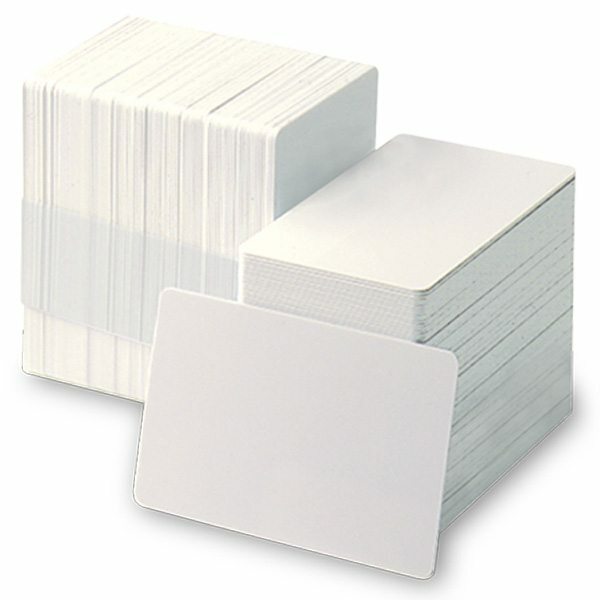 Blank PVC Cards - CR80/30 Composite Cards | Higgins Corp. 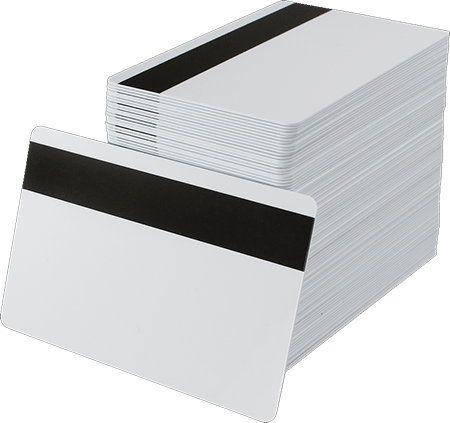 Most often blank white cards are used with photo ID systems and graphics card printers that print and/or personalize one or both sides of the card. We offer both graphics quality PVC cards and long-life composite cards that contain polyester material. PVC cards are ideal for printing cards on most direct-to-card printers. 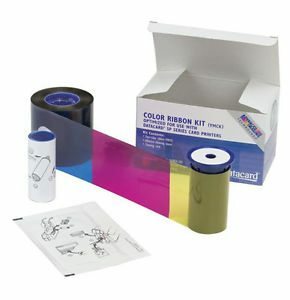 Composite cards are recommended for use in laminating and retransfer printers because they are more resistant to heat than standard PVC cards, as standard PVC cards may warp from the intense heat used in both of these processes. Made of 60% PVC and 40% PET, composite PVC PET cards are more durable than standard PVC cards, making them ideal for use when cards will be frequently handled or used in harsh environments. Mag-Stripe: Both PVC and Composite cards are available with a 2-track (standard) High Coercivity magnetic stripe option. Higgins HiCo mag stripe cards are ideal for applications where the cards will be frequently swiped or need to have a long life, such as access control and/or time and attendance cards. HiCo mag stripe cards store information more securely than low coercivity magnetic stripe cards because of the higher level of magnetic energy required to encode them. This also makes information on high coercivity mag stripe cards harder to erase and more resistant to damage from most magnets or magnetic fields. These cards are designed for use in printers with encoding capabilities.